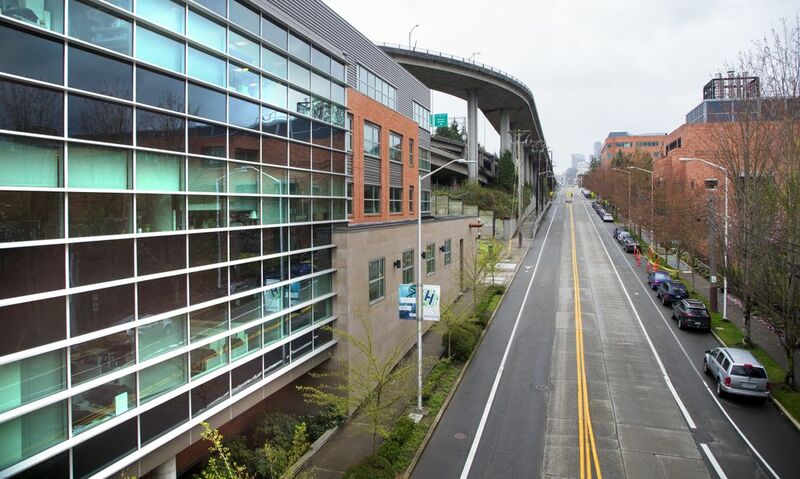 The driven leaders at Seattle’s landmark cancer-research center say a cure is within sight. 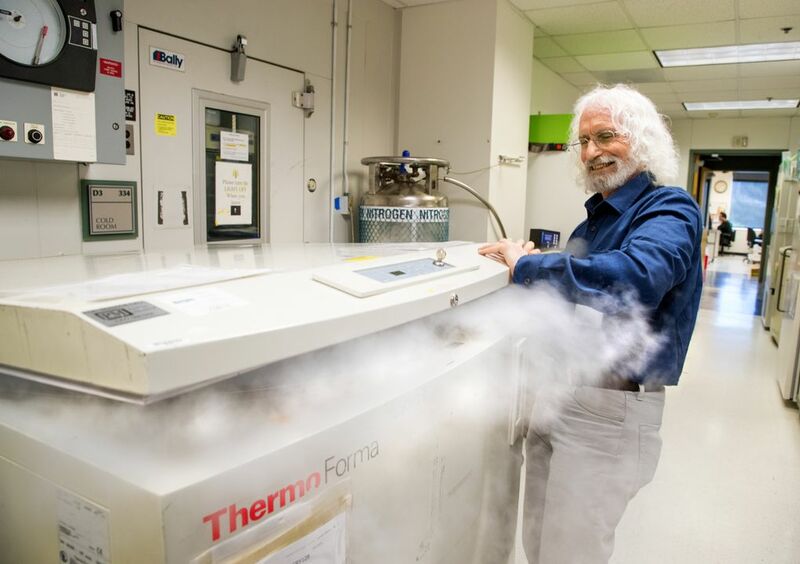 THE MAGIC MICROSCOPIC particles that might change the world — and in the process, permanently burnish Seattle’s spot on the big, ascent-of-man scientific map — are, at this very moment, being carted about on a medical campus one short traffic jam away from the shores of Lake Union. Their mode of transport: a thermo-molded plastic lunch cooler, of the sort one might nab at Walmart to carry a baloney sandwich and some freshly cured herring out for a day of salmon fishing on Puget Sound. 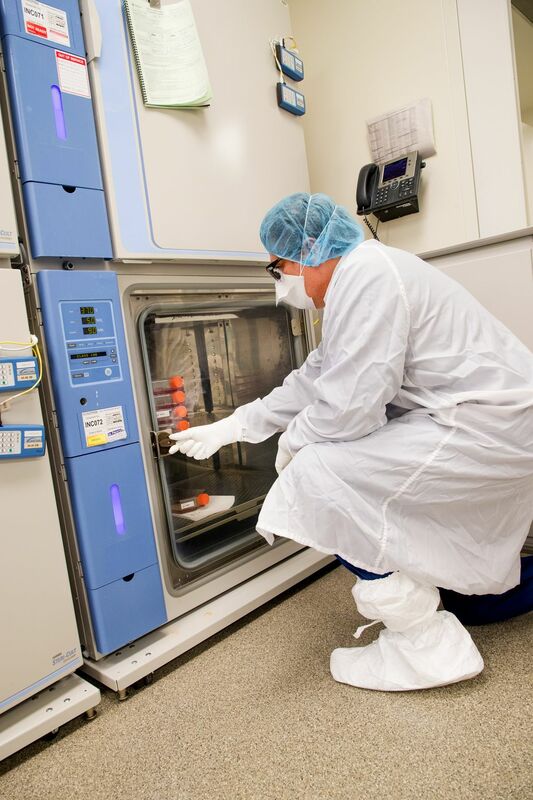 The little coolers are ubiquitous at the Fred Hutchinson Cancer Research Center, which four decades ago pioneered a groundbreaking treatment for blood cancers — the bone-marrow transplant, now an older science that still saves lives, but not without harrowing side effects. 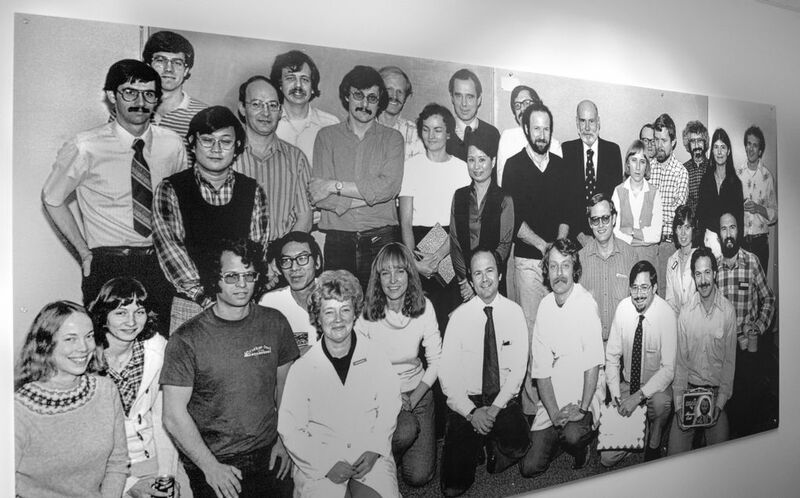 What has changed in cancer research since then? Almost everything. 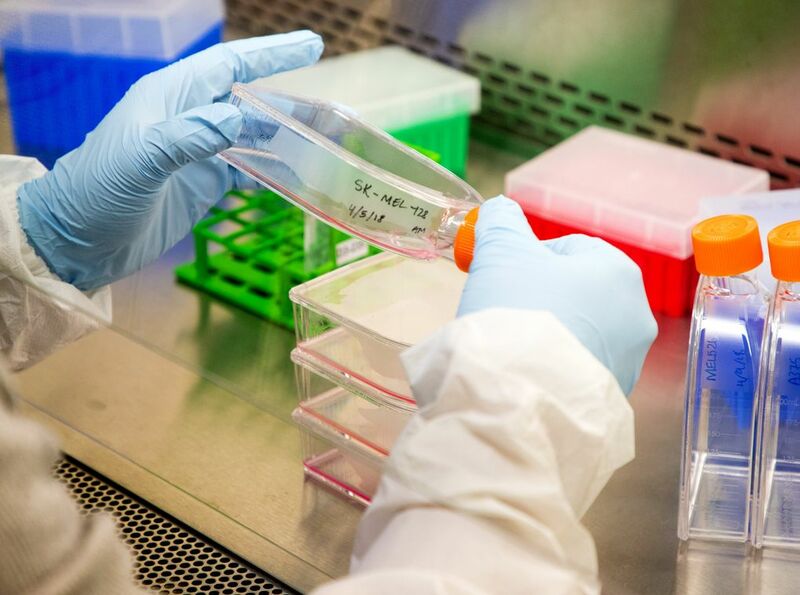 But the research growing from those transplants is blossoming today into what could be, at last, actual cures for common cancers that have long stood as irrevocable death sentences for millions of people. 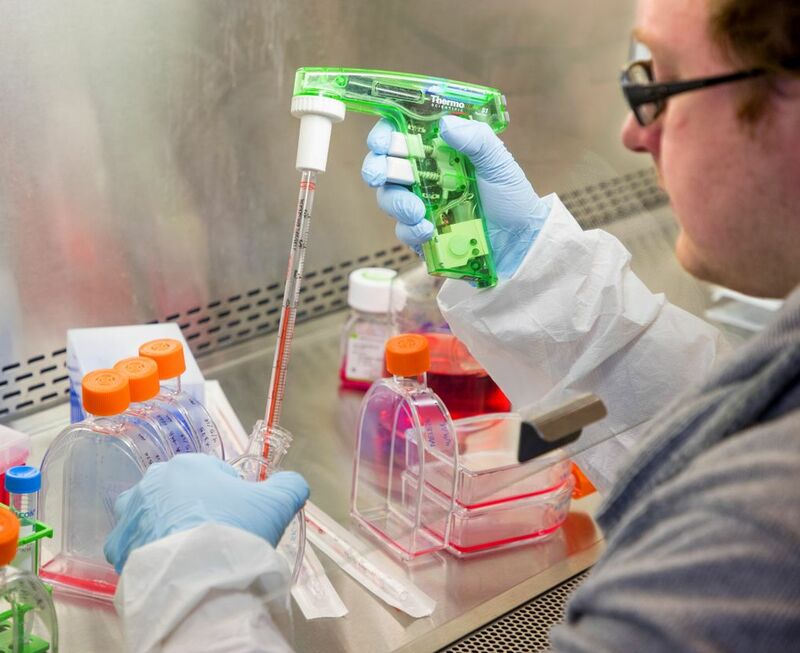 Some of the new treatments — collectively, “immunotherapies” that unleash the body’s own immune system to seek out and destroy cancer cells — have shown mind-blowing results in early testing on blood cancers. In one ongoing trial, patients with a leukemia that had resisted previously known treatments achieved a remission rate of 93 percent — a result that even seasoned researchers at The Hutch called “astounding,” particularly given the treatment’s relative lack of the destructive side effects of traditional radiation and chemotherapy. The weapon of choice — re-engineered human “CAR-T” cells — did its work more efficiently and completely than even its creators had dared dream. During that trial, the oncologist for one terminally ill patient phoned a veteran Fred Hutchinson researcher, Dr. Stanley Riddell, less than a week after the administration of a single dose of these super cells, confessing astonishment. The stricken patient, plagued by pounds of malignant tumors in the lymph nodes of his neck, said he felt the deadly tumors “melting away like ice cubes.” The treatments are still being tweaked, but early results have left usually reserved researchers borderline giddy. What’s next? Turning the same immunotherapy tech loose on other formerly incurable “solid tumor” cancers that long have ranked among medical science’s most-vexing killers. 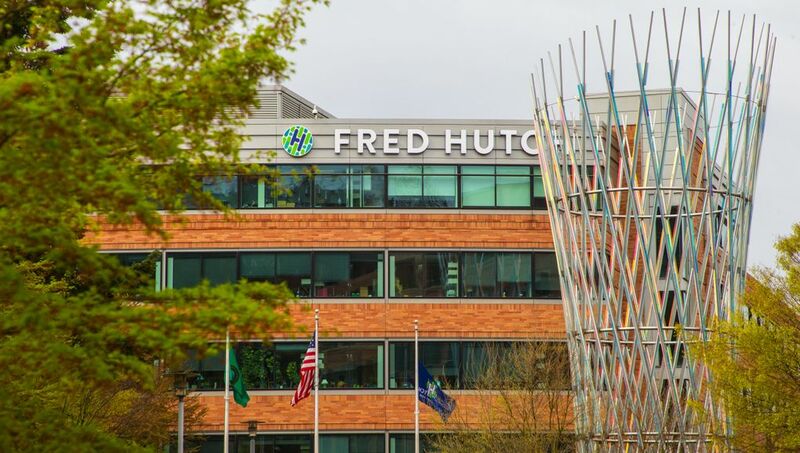 A dozen trials are underway now at The Hutch and the affiliated Bezos Family Immunotherapy Clinic at Seattle Cancer Care Alliance for a broad range of blood cancers, lung cancer, breast cancer and melanoma. A clinical trial for pancreatic cancer could start within the next year; an immunotherapy regimen for ovarian cancer is currently being tested, with promising initial results, on genetically altered mice. 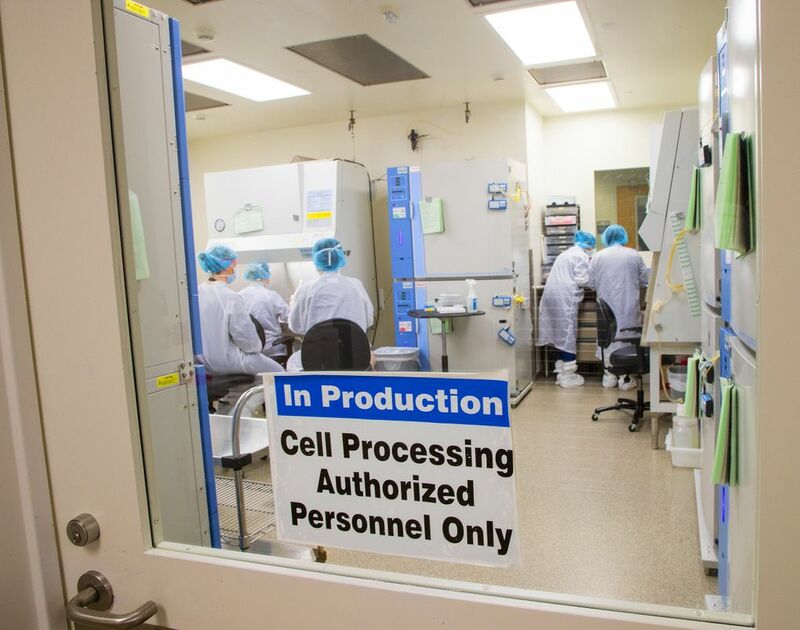 The painstaking work to perfect these treatments clicks along quietly every day along Lake Union, one batch of supercharged cells at a time. Each batch winds up in an ordinary IV bag containing an extraordinary potion, carefully maintained, on its way to patients, at cold-beer temperatures. Hence the marching armada of coolers, routinely hand-carried from a basement cell-production facility at The Hutch to the adjacent clinic, where a patient who as little as two years ago would have been without hope awaits a single-dose treatment that might prove miraculous. Such is the ordinary magic of daily life at Seattle’s landmark cancer research center: On any given day, the person ahead of you in line at the espresso stand might be holding an insulated plastic box that contains a veggie wrap and a bottle of Yoo-hoo — or a cure for a disease that has plagued mankind for millennia. LIKE THOSE at the small handful of other centers blazing paths to solve the uniquely maddening puzzle of cancer, leaders at The Hutch long ago learned not to overpromise. But the promise shown in recent research has emboldened them to proclaim, for the first time, that cures for a broad range of cancers are within sight — just one big (and, alas, expensive) testing push away. The time to make that last big leap, they say, is now. Yes: This is a cheeky stance. The “cure” word provokes varying degrees of puckering among those who live in lab coats — even more among the people who pay them. For various reasons — chief among these, raising false hope among desperate patients and their families, and also scaring away badly needed private donors — cancer researchers traditionally have been loath to go there. But results from trials just in the past two years make the leap from “progress” to “cure” less daunting. And at The Hutch, one of a handful of institutions around the world conducting these experiments at an ongoing, intense level, the bold directive is coming straight from the top. 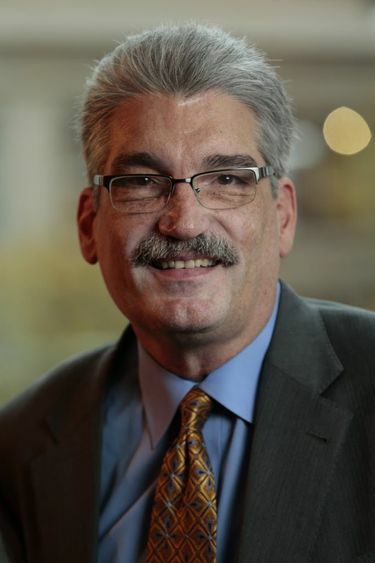 Dr. Gary Gilliland, director of the Fred Hutchinson Cancer Research Center. When he arrived at the nonprofit institution three years ago, Hutch President Dr. Gary Gilliland — a veteran of cancer-treatment successes at Merck Research Laboratories and on the faculty of Harvard, where he directed the leukemia program at Dana-Farber/Harvard Cancer Center — set off PR seismometers throughout the cancer research world by proclaiming that “curative approaches” for most cancers were within sight by 2025. 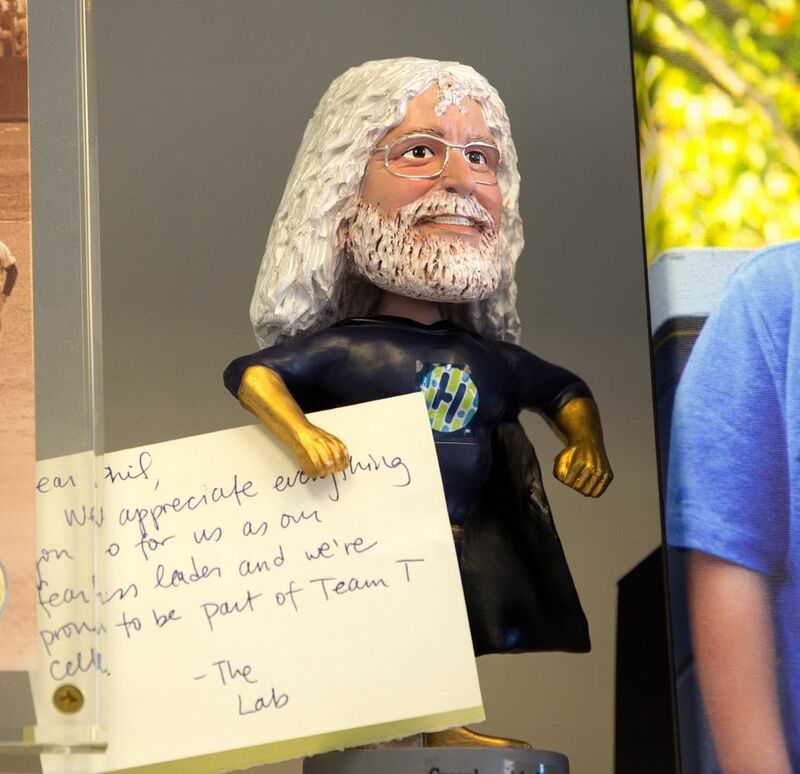 Gilliland says he has never questioned whether the dedicated corps of researchers at The Hutch, founded in 1975 and named after a locally beloved professional baseball pitcher who died of cancer at age 45, will lead the way in curing cancer. He’s moved on to when — and how completely. By breaking cancers and their immune-system combatants down to their smallest, subcellular parts and learning how they get along — or preferably, do not — scientists at The Hutch and a handful of other leading research centers already have proved they can eradicate cancer in some patients with a one-dose blood-bag treatment engineered from the patient’s own immune system. ANSWERS ARE COMING every day in labs along Lake Union, where The Hutch has quietly expanded its presence into a working cancer-killer campus perhaps unique in its ability to imagine, test, manufacture and deliver intensely personalized, lifesaving treatments to patients for whom all else has failed. 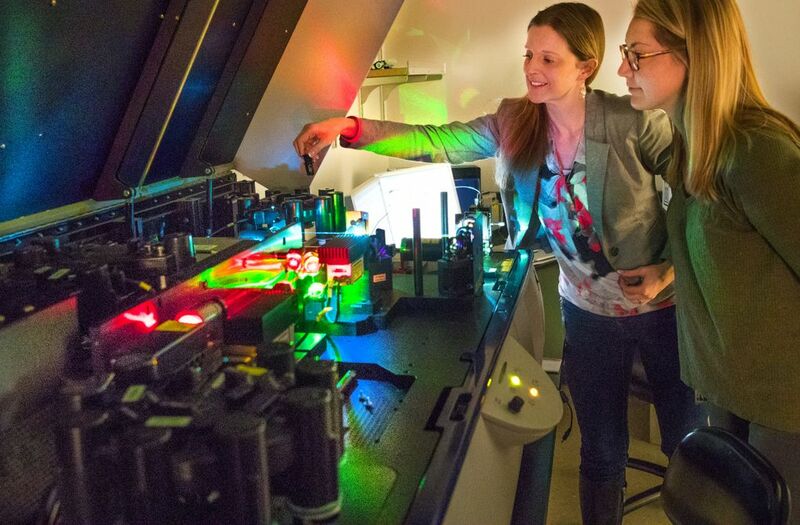 These advances are especially invigorating to The Hutch’s researchers because much of this new success is born of work conducted here for decades. Immunotherapy, Gilliland reminds, is “built on the legacy” of The Hutch’s bone-marrow transplant techniques, pioneered by the late Dr. E. Donnall Thomas, a 1990 Nobel Laureate (one of three to roam The Hutch hallways at various times), and his wife, Dottie. 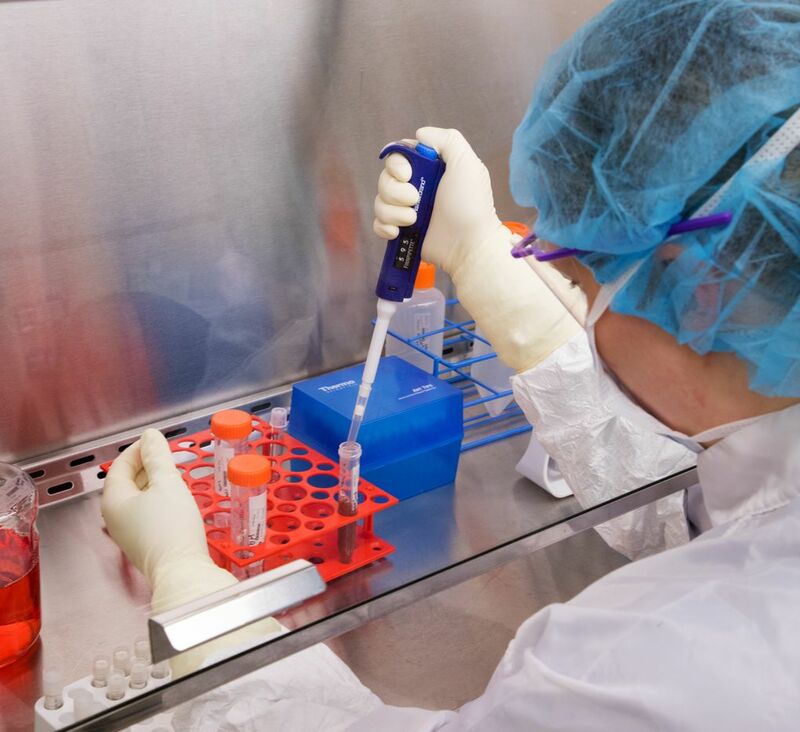 The treatments provided the first proof that immune cells transplanted into the body could seek out and kill leukemia cells in humans. 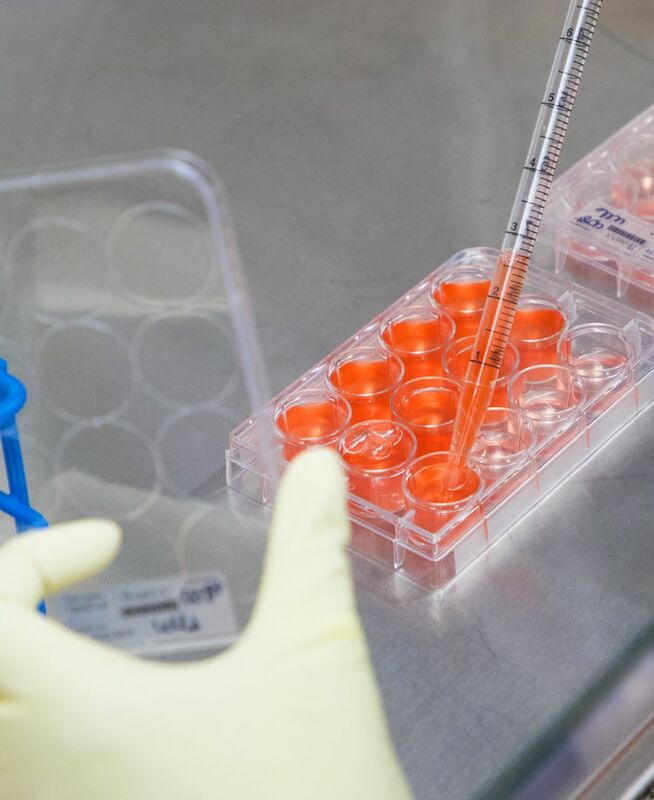 The focus since has shifted to encouraging immune cells in patients’ bodies to do the work themselves, eliminating the need for matched donors of stem cells from bone marrow or blood. A range of techniques has evolved. The one showing such remarkable promise in recent blood-cancer trials, the “CAR-T” treatment, is one of a handful of new “adoptive T-cell” techniques that have staved off cancer in countless patients. In this one, naturally occurring immune cells known as T cells are genetically engineered to produce new synthetic receptors, called chimeric antigen receptors, or CARs. 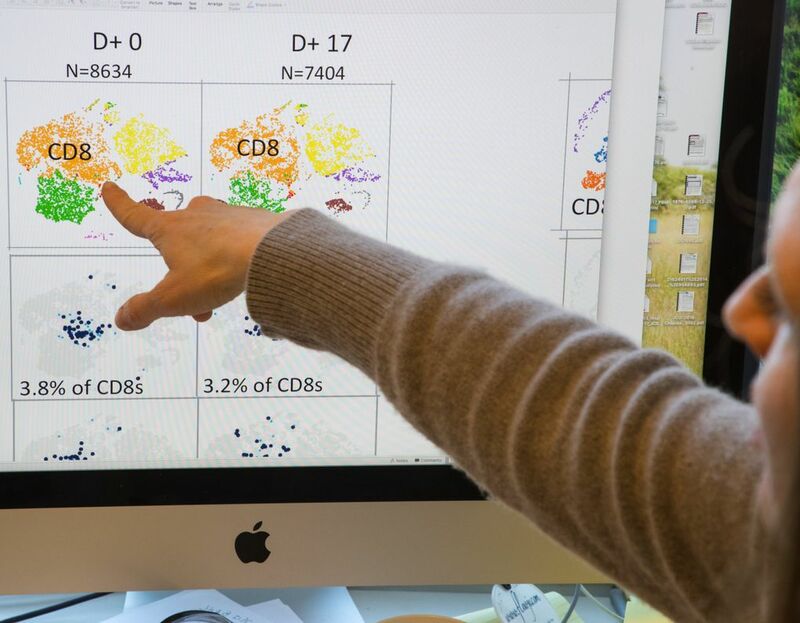 The end product — a souped-up CAR-T cell — can identify specific proteins, or antigens, on the surface of cancer cells. 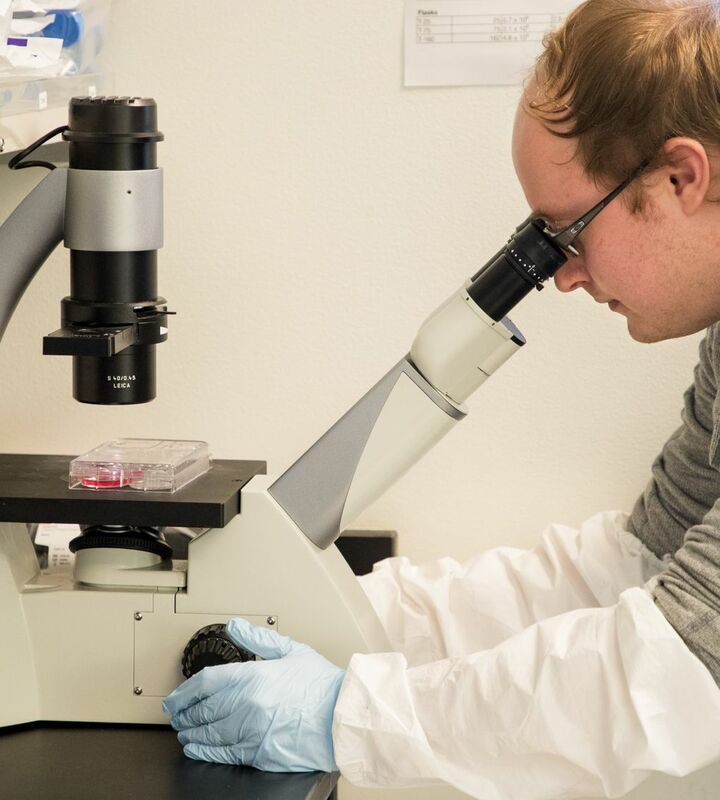 Multiplied in the laboratory and reintroduced to a patient’s blood stream, they target and kill those cells with stealthy efficiency. 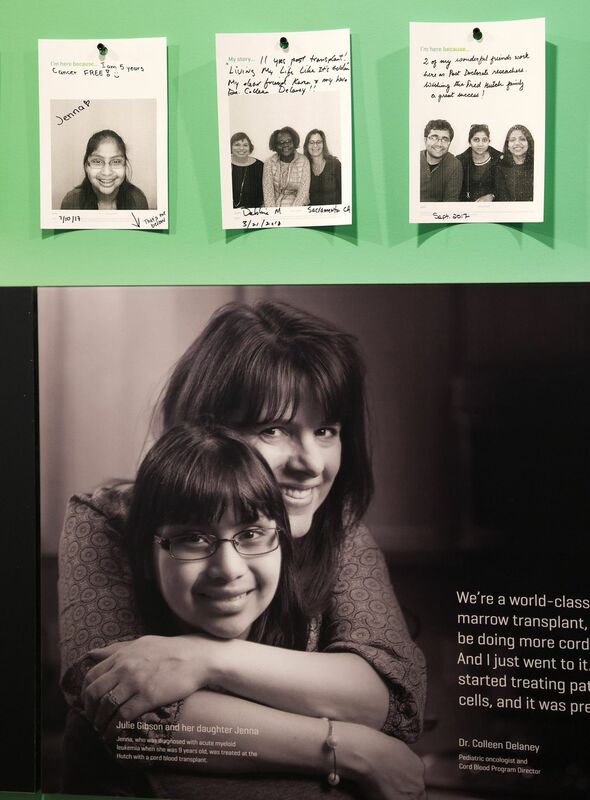 Another bonus: Adoptive T-cell treatments are considered a “living therapy” because immune systems trained to kill cancer might continue to do so, or even learn to get better at it over time. Significant problems remain. CAR-T treatments have shown their own nasty side effects, including neurotoxicity, which causes seizure-like symptoms, and another syndrome that has caused dramatic drops in blood pressure. But researchers such as Riddell have called those typical early-stage roadblocks that can be mitigated by improvements to treatment regimens, including controlling doses. Cost is another factor: The highly individualized treatments in their current form are labor-intensive and expensive. The hope is that costs will drop over time as procedures are standardized. 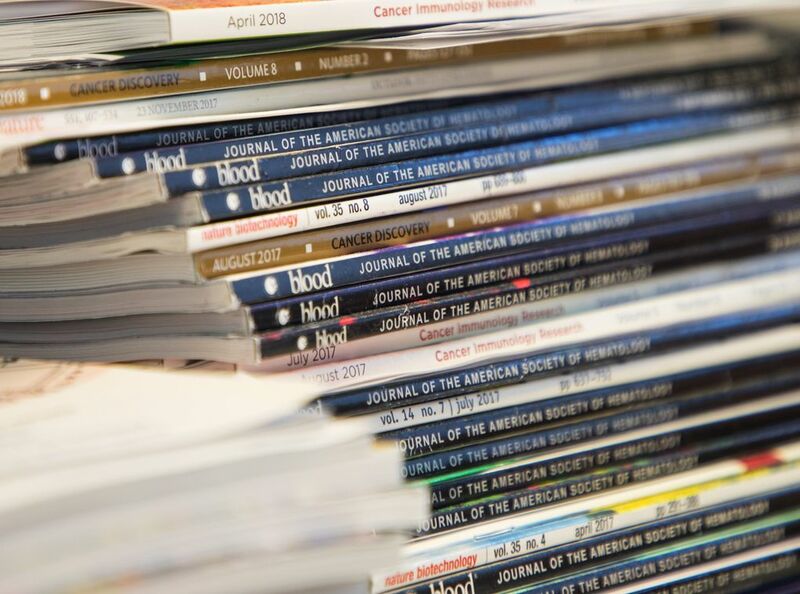 The growing consensus among researchers is that CAR-T treatments, alone, will prove less effective against ubiquitous solid-tumor cancers. But most agree that a combination of developing immunotherapies is the likely key to future cures. He acknowledges some “pushback” on these bold proclamations from within the field. But he believes it’s important to create motivational pressure to finish the job. SO THERE YOU GO. No pressure or anything, Hutchies. Fortunately, most of the worker bees here — longtime investigators with international reputations or greenhorn, undergrad lab assistants — have embraced Gilliland’s challenge, with determination you can see in their eyes and hear in their voices. 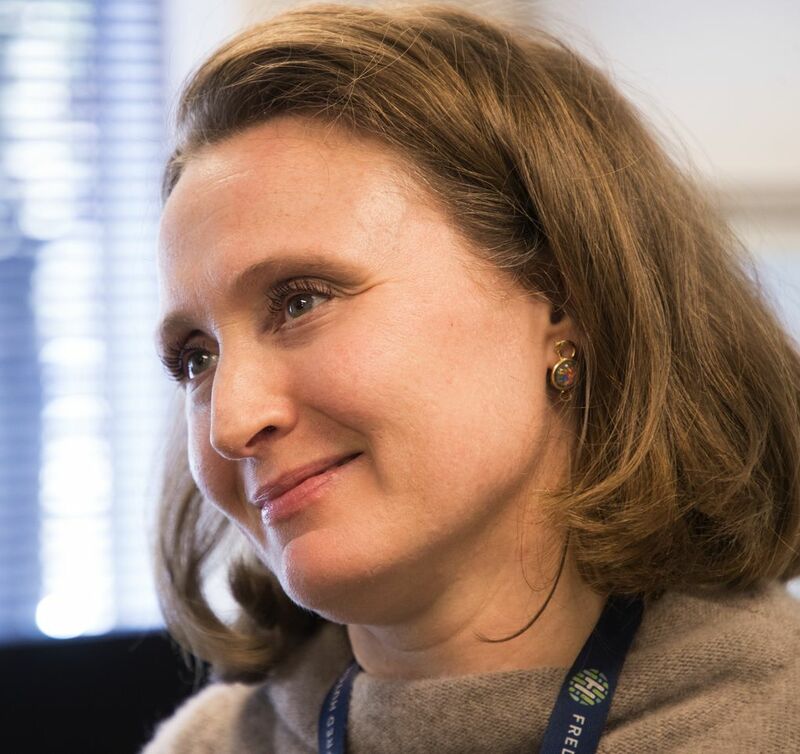 Immunotherapy is not the sole focus of daily work at The Hutch, where researchers also work on a range of public-health issues, including cures for infectious diseases (which have alarming correlations with cancers), ranging from HIV to human papilloma virus (HPV), a vaccine for which The Hutch scientist Dr. Denise Galloway helped pave the way. But immunotherapy is the work that holds the most current promise for high-profile cancer breakthroughs — evidenced by investors attracted to Hutch-spinoff biotech companies, such as Seattle’s Juno Therapeutics. Like many in his shoes, Greenberg’s lifetime fixation on besting cancer has become intensely personal. His father died in 2001 from pancreatic cancer, which stands as the third-largest cause of U.S. cancer deaths, and is increasing in numbers. Greenberg’s team is exploring ways to equip immune cells with specific “T-cell receptors” — de facto broadcast antennae that can see antigens inside tumor cells (rather than surface antigens sought by CAR-T cells) to activate and unlock cellular doors to immune-system cancer destroyers. 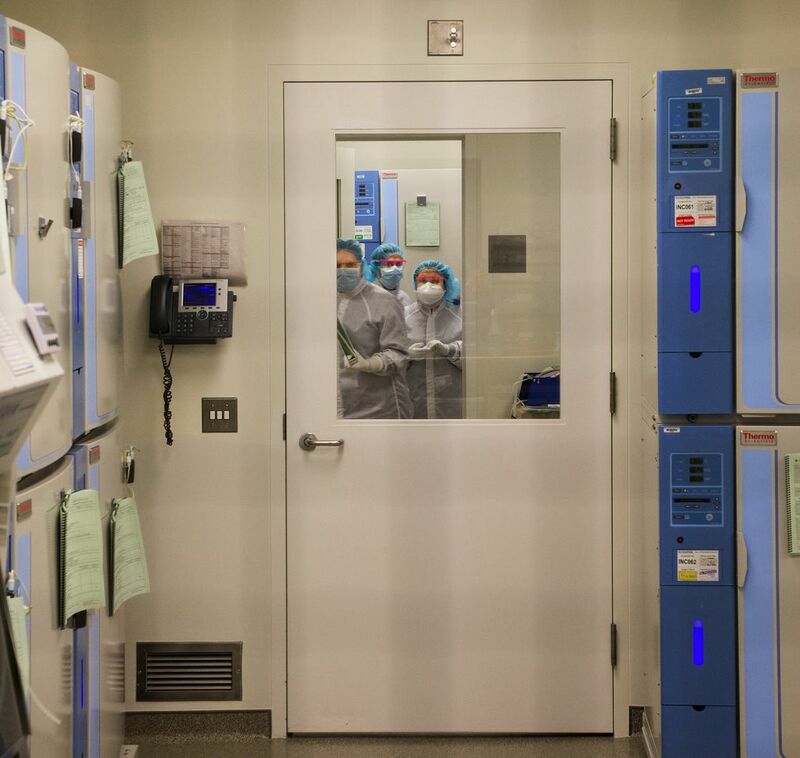 It’s here that Greenberg and his colleagues are fighting the immunotherapy battle against solid tumors, via lab work that is so data-intensive that The Hutch has increasingly reached out for help from power-computing partners in Seattle’s tech sector. Researchers here credit such breakthroughs to The Hutch’s long-game approach to cancer science. When he arrived as a cockier youngster, Greenberg recalls telling Thomas, the father of the stem-cell transplant, that such traumatic measures surely could be eliminated from the process altogether. Providing that room to innovate, in a field where fierce competition for trial funding tends to work against longshot creativity, has been the key to long-term success at The Hutch, Greenberg says. Now a legend in the field himself, he tries to pass that same freedom on to his younger charges. One of them, postdoctoral fellow Dr. Kristin Anderson, is conducting mouse trials for an immunotherapy treatment for ovarian cancer. It’s one of the deadliest forms of the disease because by the time it is detected, the cancer usually is quite advanced. Fewer than half of diagnosed patients live beyond five years. 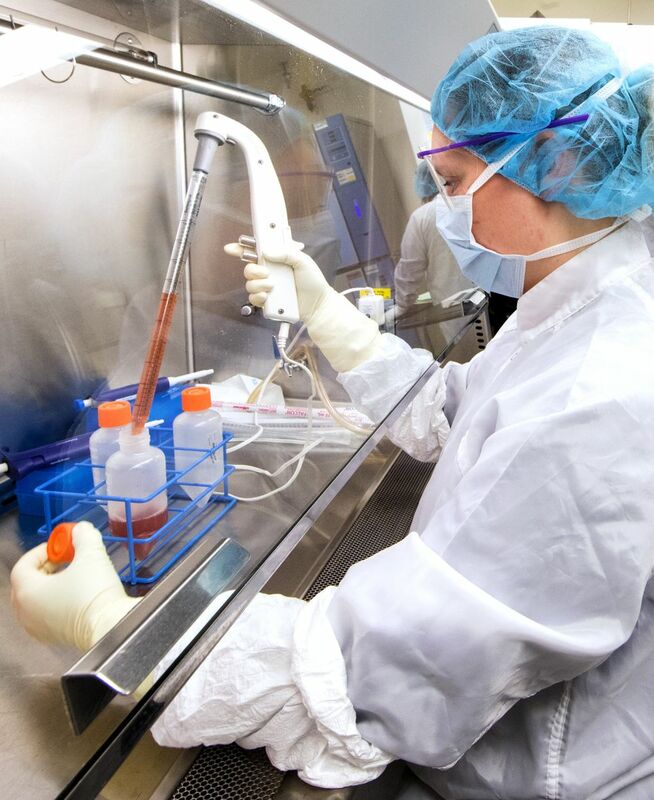 IMMUNOTHERAPY TREATMENTS for ovarian and pancreatic cancers are being prepped for clinical trials in Greenberg’s lab. His team already has a solid idea of what to expect — thanks largely to a giant technological leap in a tiny host: a literal genetic re-engineering of the common laboratory mouse. By injecting altered DNA into mouse embryos, trial-ready mice can be produced much more quickly and “model” human treatment effects far more precisely, accelerating the pace of moving treatments from mouse study to human trial. The detailed feedback they provide allows researchers to “leapfrog” obstacles, sometimes overcoming them before they are ever encountered in humans, Greenberg says. To a layperson, the technology employed in the fight is mind-boggling. At one end of the hall outside Greenberg’s office, a lab technician is loading small vials of what could pass for ink into a machine that looks like an ordinary office printer that might spit out an NCAA basketball tournament bracket. 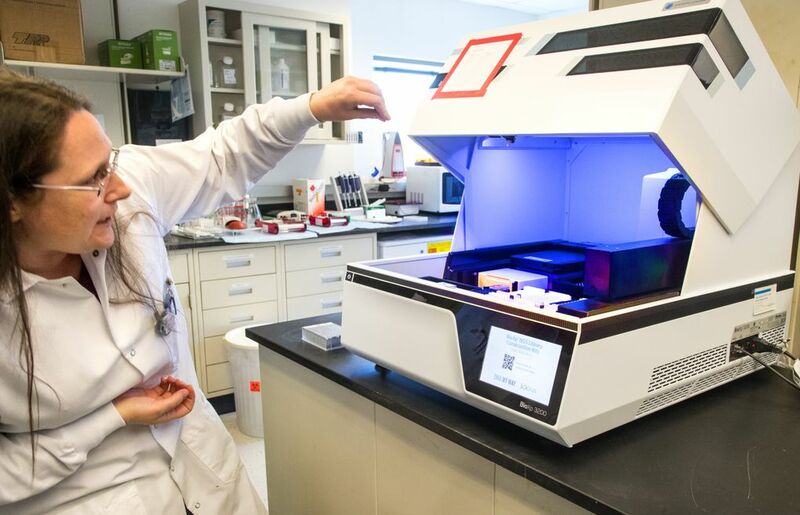 This one prints DNA for lab use. Silently, lab-ready, overnight — a process that once took a team of workers months. At the other end of the hall, Dr. Aude Chapuis, a Swiss researcher who came to The Hutch in 2003 to work on an HIV project, stares at a computer monitor filled with histograms with colorful patterns that look like firework explosions. 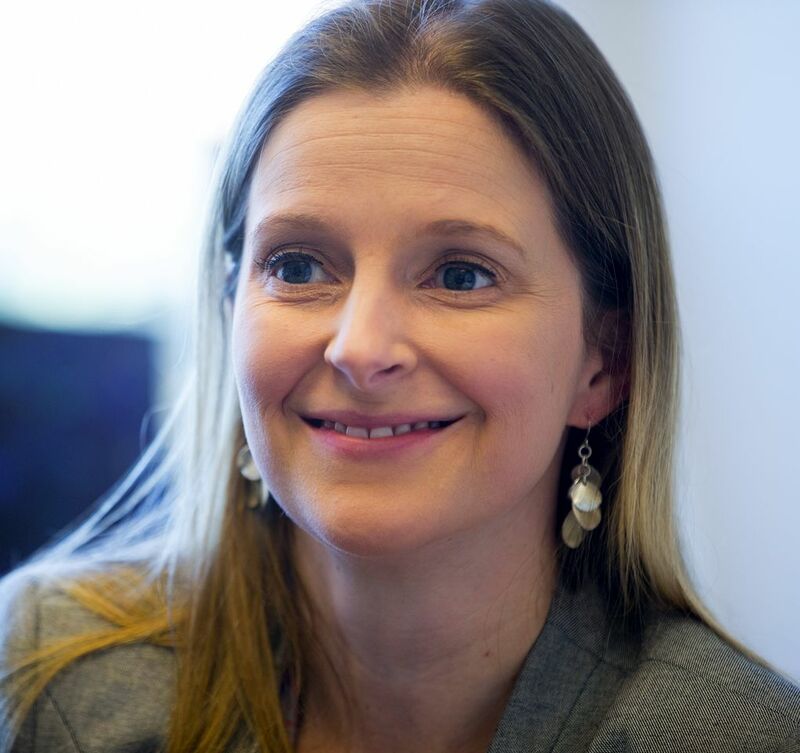 A specialist in incorporating lab-proven treatments into human trials, she’s taking the search for cures to the infinitesimal levels of ribonucleic acid, or RNA, the messenger system for human DNA. It’s another creative front in the battle to convince immune cells to meet, greet and defeat cancer cells — some of which are notable for ingenious deceptions that even their primary foes acknowledge with begrudging respect. Scientists long have known that cancer’s “success” rate has been aided by its ability to trick, or even spark a shutdown impulse in, immune cells preprogrammed to kill it. Researchers in Greenberg’s labs are working to block those processes — or perhaps even fool a cocky cancer cell into believing it has shut down an immune response, when it has not. Other experiments aim to retrain immune cells receiving a “suicide” signal from a tumor to not only ignore that impulse, but kick into “attack” mode, instead, when receiving it. Much of the unseen microbiology that once made cancer research a slow, painful, trial-by-error slog is now visible — and subject to manipulation. The new technology provides instant feedback on the effect or failure of treatments that is so voluminous, other divisions at The Hutch are scurrying to devise software programs that can help analyze it. “We have incredibly sophisticated ways to understand what our cells are doing in the patient,” Chapuis says. Until recently, researchers could see, for example, that a cancer cell was able to evade the grip of an immune T cell. Now they can see why. ALL OF THIS would have been considered science fiction when The Hutch first hung out its sign as an independent cancer center in 1975. But today it places front-line cancer fighters in a position both enviable and lamentable: For the first time in history, they see the likely pathway to cures for a full range of cancers. But it remains blocked by the chokepoint of research funding, which, to put it kindly, has not advanced at the same rate as the science. 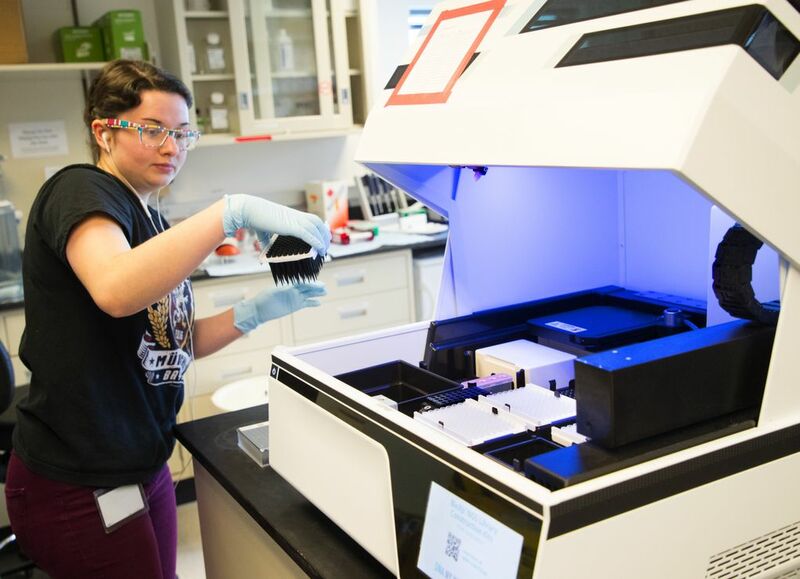 About 70 percent of The Hutch’s $550 million annual budget comes from grants and contracts, largely through the National Institutes of Health. The funding, despite threats of cutbacks from the Trump administration, got a $3 billion (8.3 percent) boost this year. But it still lags behind inflation over the past decade and a half. Some local donors have stepped up; The Hutch still buzzes over the Bezos family’s recent $35 million donation. But realizing the potential of the science in short order will require “new dollars” beyond the traditional fight over scraps of a dwindling slice of federal discretionary spending, which often pits cancer research against other worthy social needs, The Hutch leaders say. Seattle, Gregoire notes, might be uniquely blessed with the ingredients needed to turn potential to reality. Literally within sight of The Hutch campus, the trappings of big data, digital technology, higher education, biotech and other should-be elements of the cure are reaching for the sky. And mind-boggling reserves of private money sit in bank accounts. Gregoire and Gilliland hope the Bezos gift becomes an example, not a one-off. Because competition for federal funding — of which The Hutch has long won a lion’s share — is increasing. 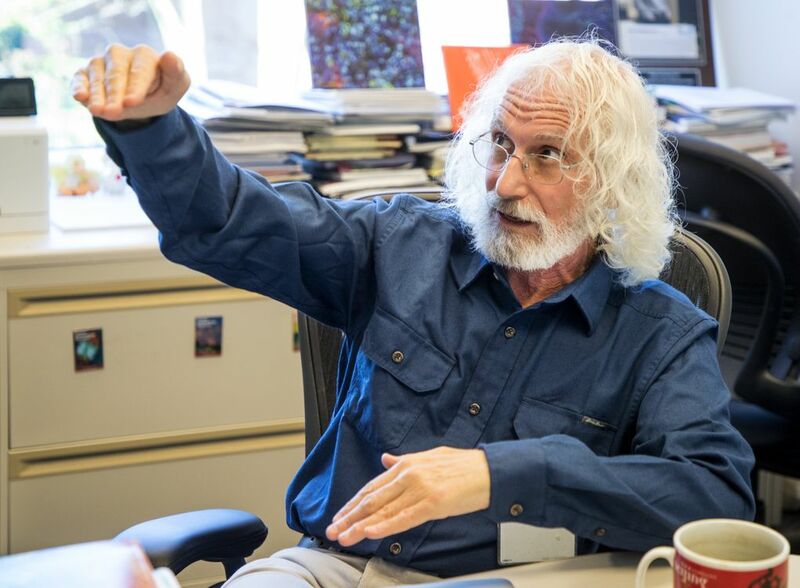 More than 90 percent of federal research grant requests are rejected, and one of those, Gilliland believes, might contain cancer’s magic, lethal bullet. He points to recent successful CAR-T treatments, which, 20 years ago, surely would have earned a “REJECT” stamp. The money, the technology, the expertise and the will are all here, largely through kismet, Gregoire believes. 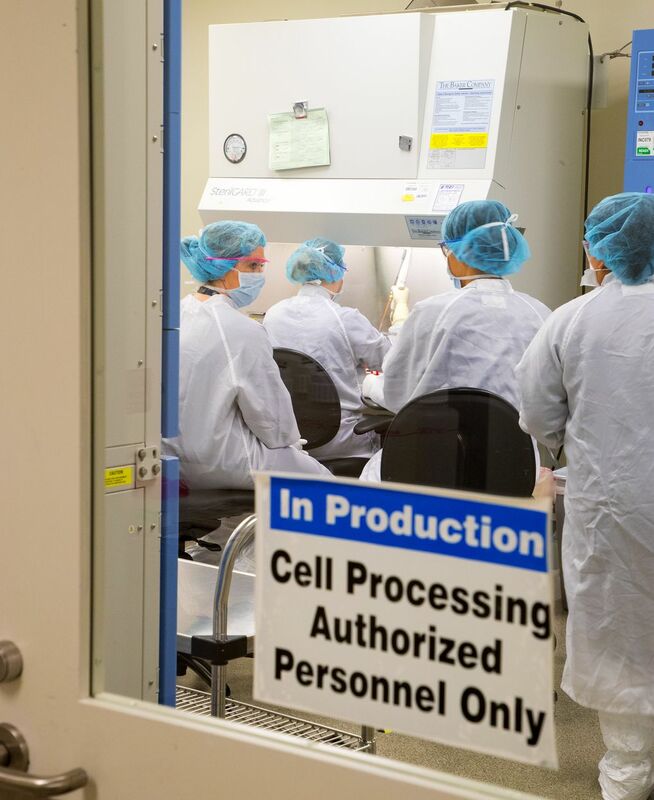 If they come together with a full commitment for cancer cures, the city’s future bioresearch legacy could make its past pinpoints on the map of global significance seem quaint.